Should You Do Social Media Marketing on YouTube? 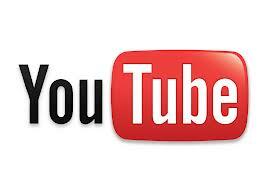 You're here » Home » Social Media Marketing » Should You Do Social Media Marketing on YouTube? Is YouTube right for your business? You may be the only one able to answer this question. YouTube can be a good addition to your social media marketing plan, but it works best if you can showcase your products or services in action. For instance, if your business makes the best pizza around, maybe you can show off some behind-the-scenes pizza making techniques for your loyal customers. Do you have something to teach? Consumers tend to be driven to media that teaches them something. This rings especially true with your social media marketing. Determine what you can teach your customers and then create intriguing YouTube videos. If you’re a photographer, begin by posting photography 101 basics. If you own a carpet cleaning business, show step by step how to clean a tough stain. Are you looking for new customers? As far as social media marketing goes, YouTube is particularly tailored to targeting new business. While your current customer base will likely still find your content useful, the new business opportunities are where it’s at on YouTube. Be sure to post links to your website and other social media pages for greater engagement. Whether you’re just dipping your toe into social media marketing or trying to revamp your current strategy, YouTube can work wonders for your business. But remember, the magic has to come from you, so take our questions into consideration before you delve into the world YouTube. Have you had a YouTube success? Tell us about it! Headline: Should You Do Social Media Marketing on YouTube?